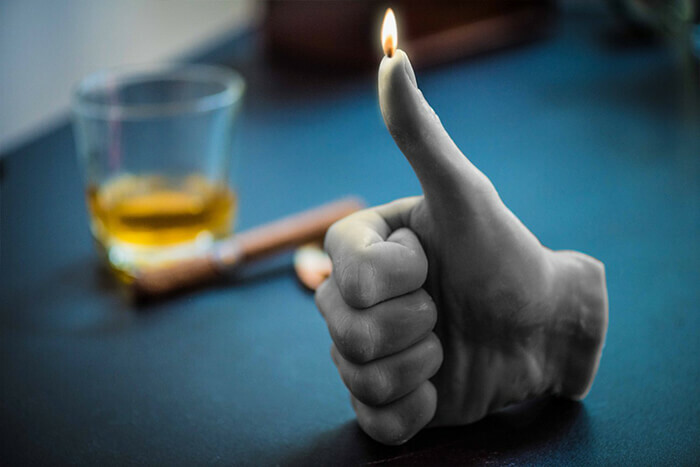 Some people can‘t live a day without lighting up their homes with candles and even for those who don’t, candles can add great interior details. 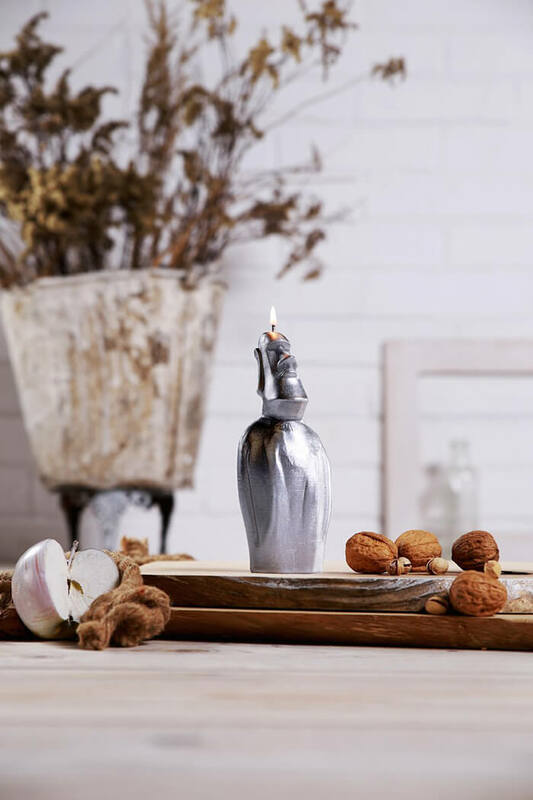 There’s isn’t only one way to make a candle, the art of candle making can be quite beautiful and stunning. 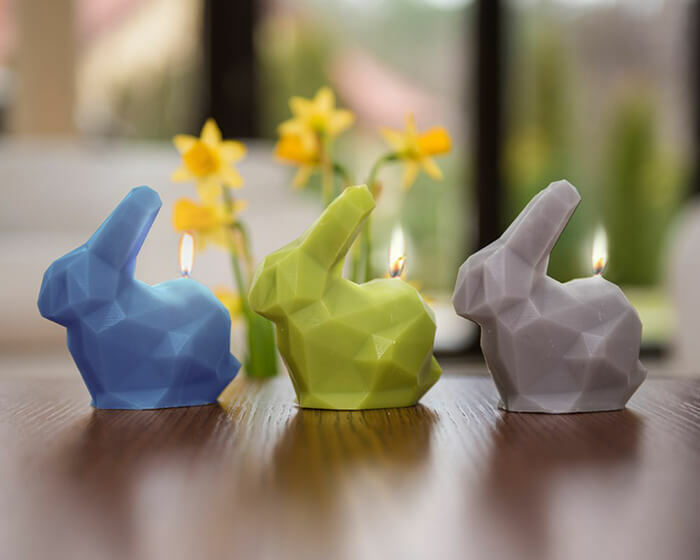 Our today’s candle collection can be divided into two groups: hand gestures candle and geometry inspired candle. Most of these hands are handmade and quite unique. 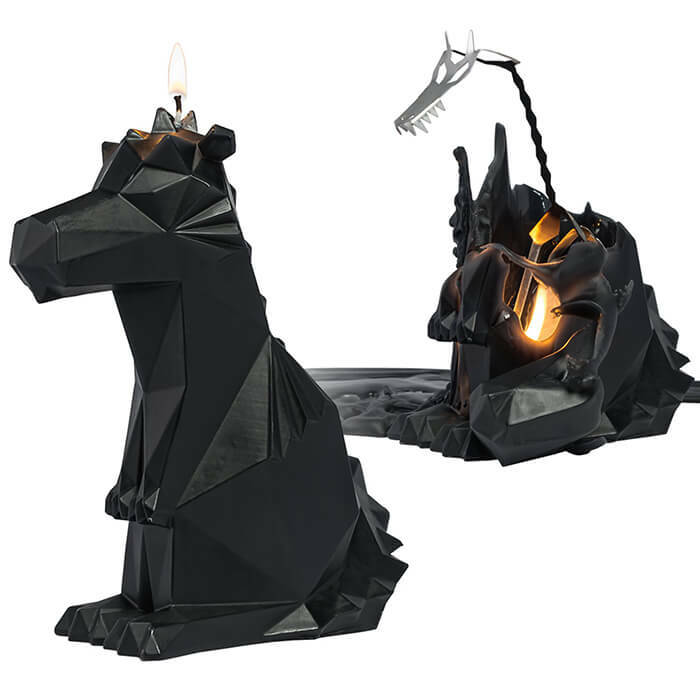 Take a look at them and maybe it is time to dress up your home with some creative candles. 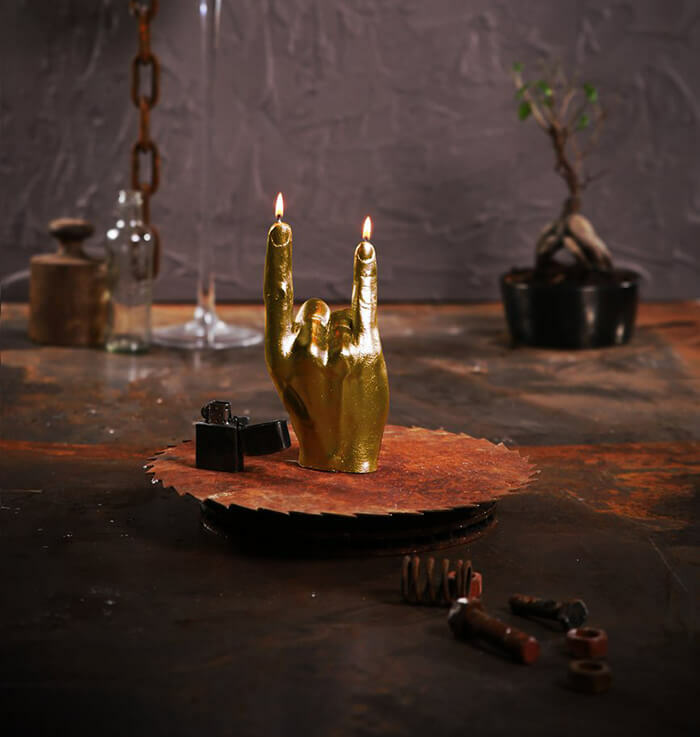 The unscented hand candle showcases the Rock N’ Roll Universal sign. A great centerpiece to have at home to burn or appreciate- it will sure be a conversation topic among friends, family and guests. 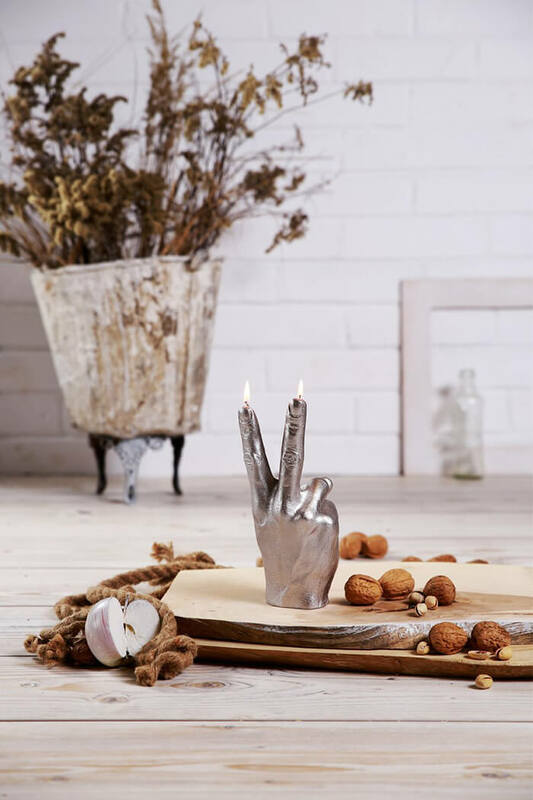 The unscented hand candle shows the Peace Sign. Made with all natural non-chemical renewable wax using a 100% cotton wick. 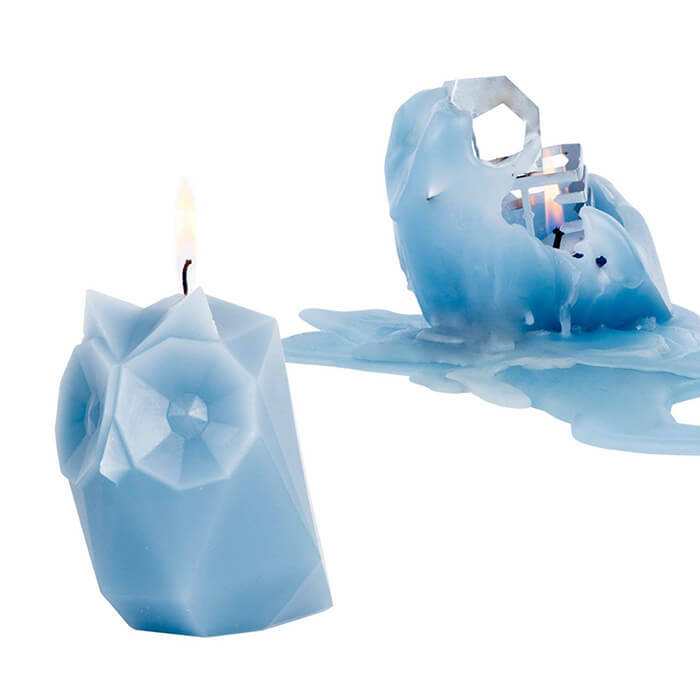 Our candles are kid and pet-friendly because is completely paraffin-free and dye-free. 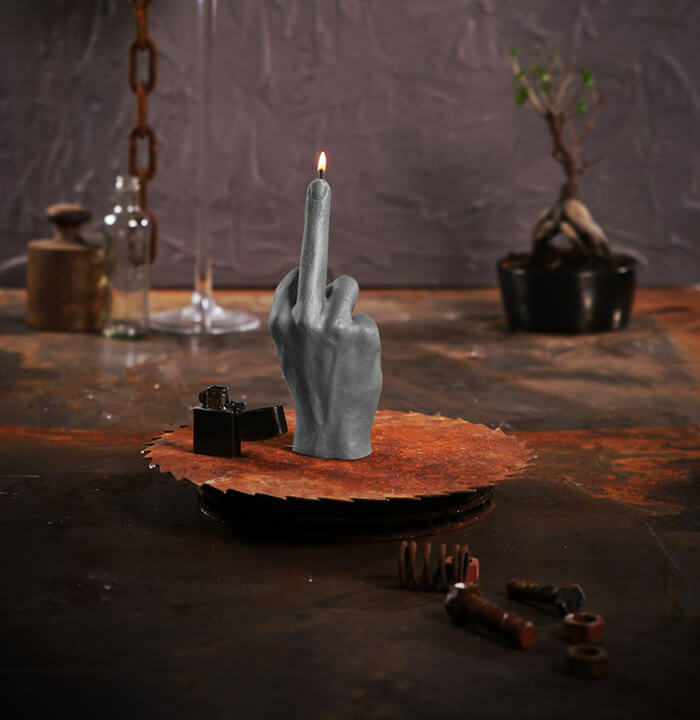 The unscented hand candle showes the middle finger with grace and assertiveness. 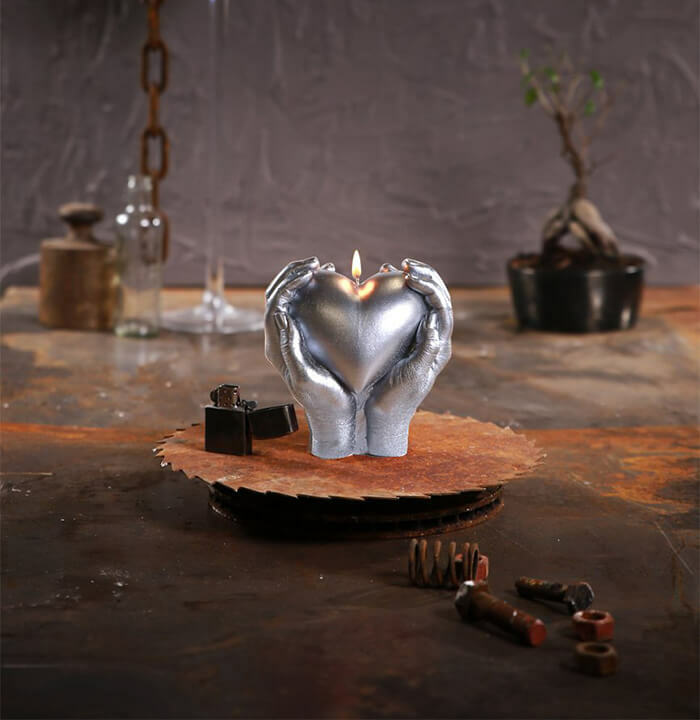 Carefully designed, hand poured and painted in Europe with extreme love and passion! 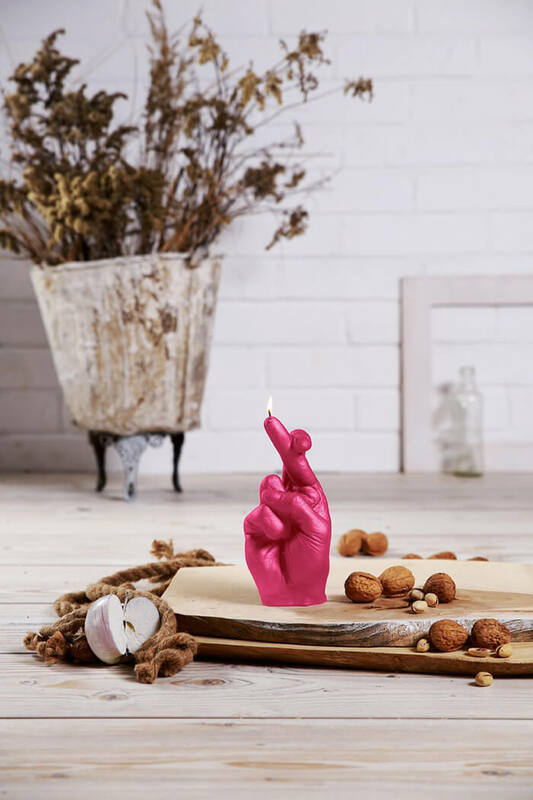 The unscented hand candle showcases Thumb Up sign. Made with all natural non-chemical renewable wax using a 100% cotton wick. Our candles are kid and pet-friendly because is completely paraffin-free and dye-free, so it burns cleaner than any candle you can find. 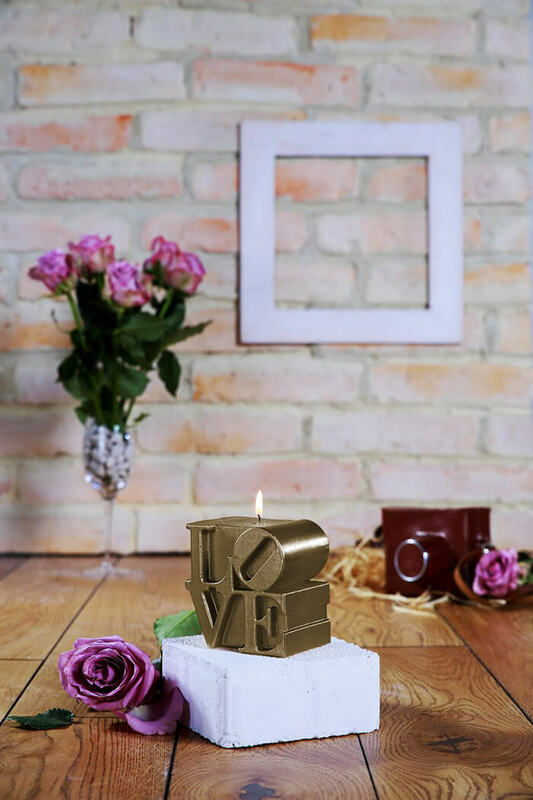 The love for unique objects, the will to come up with new, one of a kind things and our open mind made us create a modern and classy collection, often filled with huge doses of humor. The care for detail is Crucial for us throughout the process – from working on the project to producing candles. 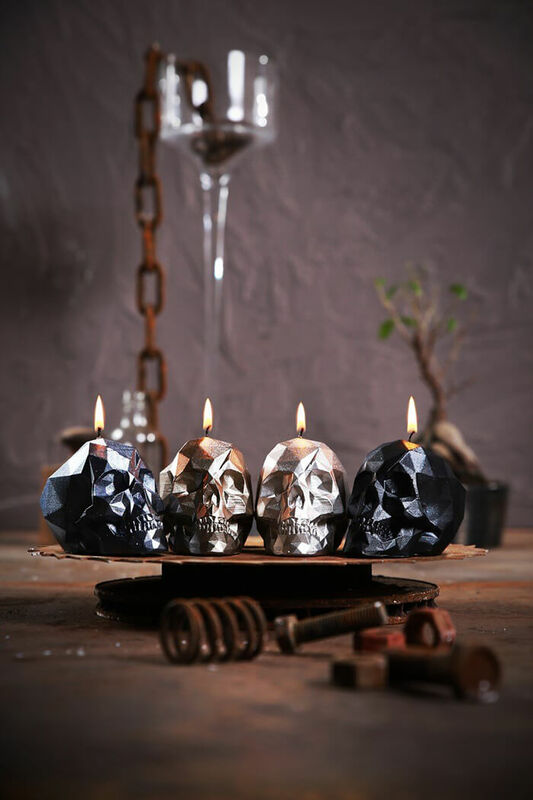 Set of 4 minimalistic skull candles- black, brass, steel, silver. Made with non toxic Medical grade wax and natural colors. 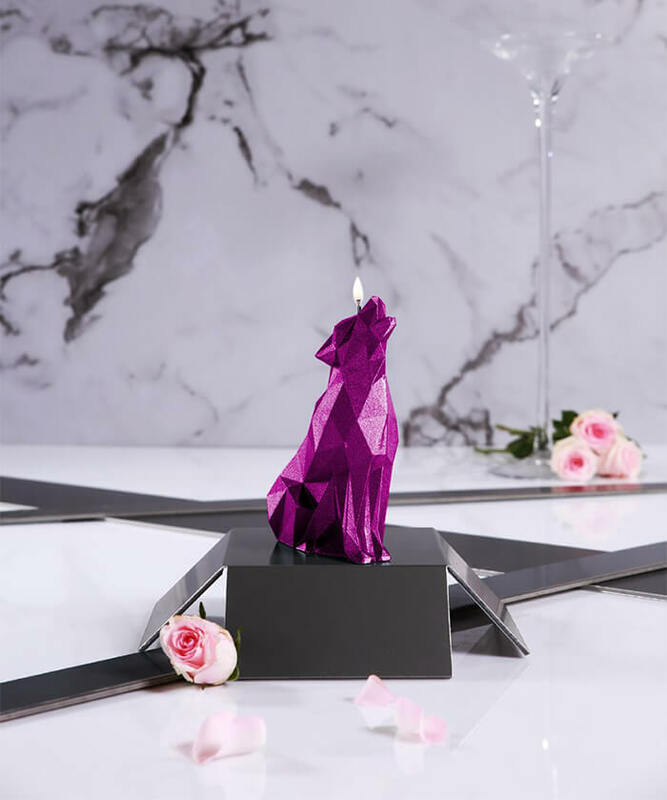 Package includes one unscented minimalistic wolf shaped candle in geometric low poly style decoration, a great centerpiece to have at home to burn or appreciate. Made with all natural non-chemical renewable wax using a 100% cotton wick. Our candles are kid and pet-friendly because is completely paraffin-free and dye-free, so it burns cleaner than any candle you can find. Famous “Oliver, the Candle Dog”- Candellana’s brand ambassador traveling around the world. 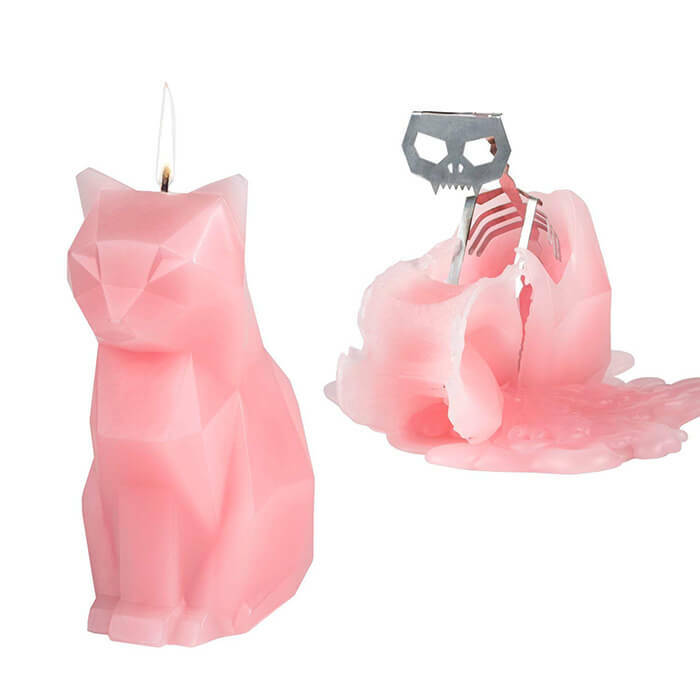 A cute owl shaped candle reveals the brooding predator at her core, a haunting metallic skeleton with fire blazing in her eyes. 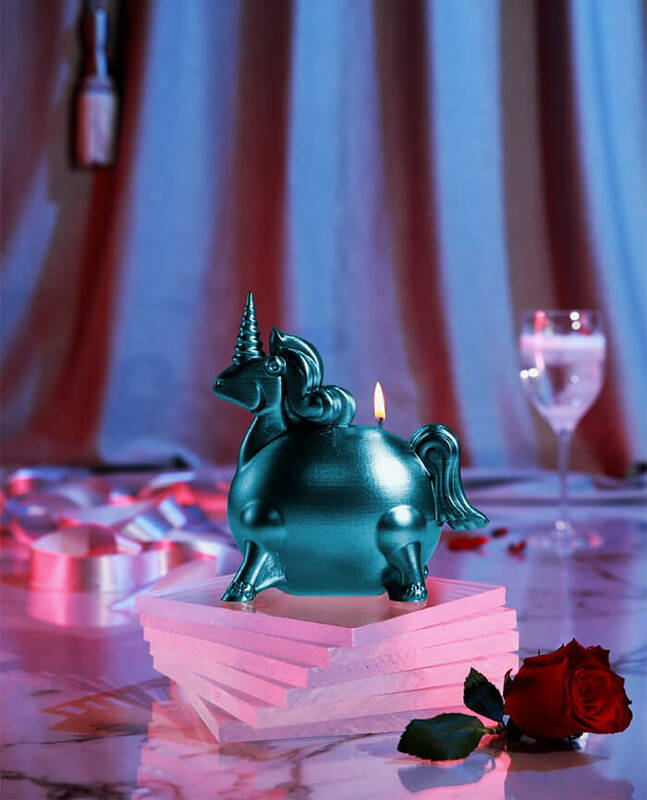 Package includes one unscented overweight unicorn shaped candle. 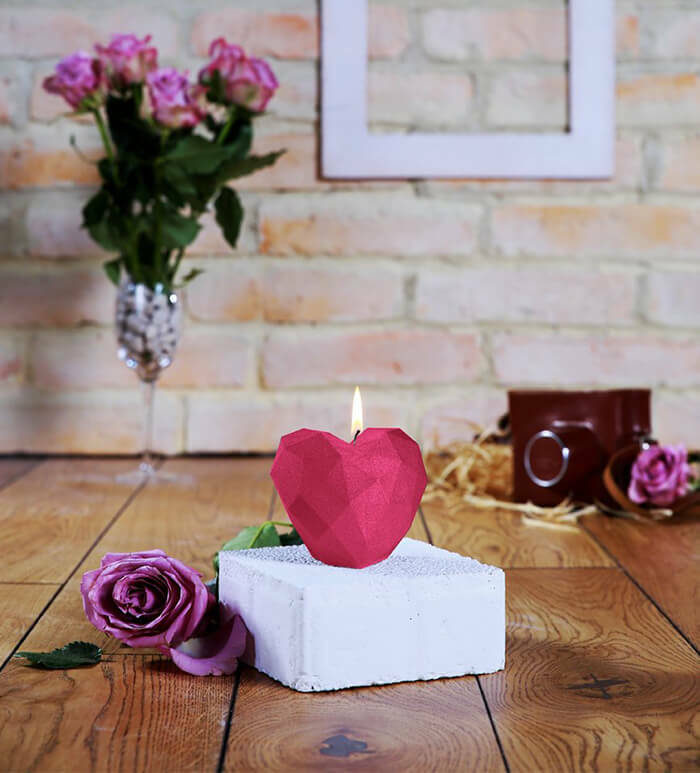 Made with all natural non-chemical renewable wax using a 100% cotton wick. 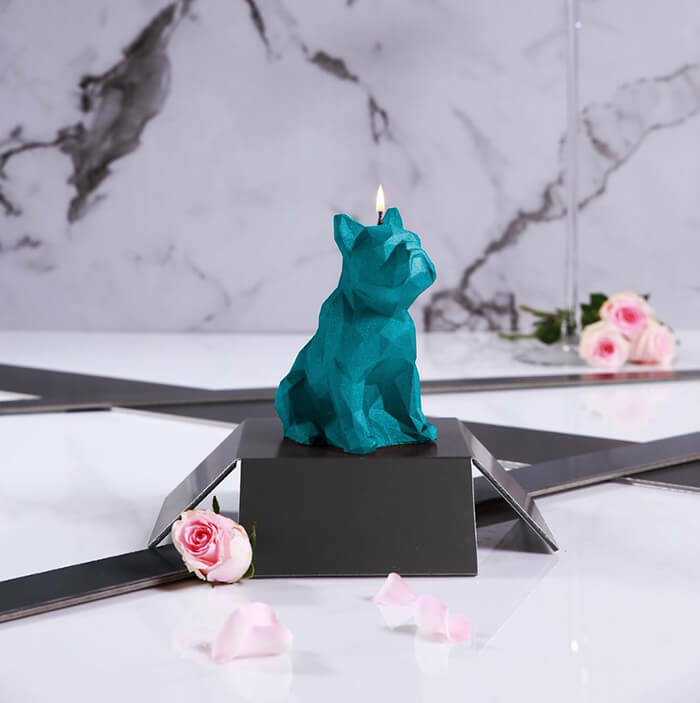 Our candles are kid and pet-friendly because is completely paraffin-free and dye-free, so it burns cleaner than any candle you can find.